If you want to achieve things, you need to be very clear about what it is you want to achieve. Most people aren’t. If you are not working towards your own long-term goals, then you are simply a pawn in the lives of those who are. Choose goals where you can make a difference and that have meaning to you personally. Life is not about ticking off the achievement of goals; it is about doing things where you feel as though you have made a positive difference. Don’t simply have the same goals as lots of other people, or goals based on other people’s expectations of you. It is your life; do the things that matter to you. You are far more likely to succeed in your goals if you write them down and work out what you need to do to get there. If you have big audacious goals that excite you, and you should have, then some of your sub-goals should relate to improving your own skills and abilities and behaviors. Purpose can be found through a self-awareness of being part of the human race, through helping other people, and seeking to be an active part in its continuing survival and progression. We cannot and will not find meaning simply through selfish pursuit of our own ends. Set goals that inspire you and excite you and help you get up in the morning. Don’t be afraid to set big audacious inspiring goals. It is better to aim for great things and risk missing them, than to aim for not very much and achieve it. In setting your goals note that you cannot find meaning in simply being able to manipulate the world and in satisfying your physical needs. Meaning is found in having a higher purpose. Do more than your share. Learn the joy of hard work. Make plans for achieving your goals. Goals are simply idle dreams unless you have sub-goals and specific next actions which will take you closer to their achievement. It is easy to be busy, to be doing stuff; what is more difficult but more worthwhile is to be doing the right stuff, stuff that is helping you get to where you want to go. Without a plan it is difficult to know whether or not what you are doing is genuinely taking you towards your goals or is just doing something. And even if you are moving towards your goals are you getting there fast enough, and is it the most effective way of getting you there. It is easy to look and feel like you are doing something, to be busy, but not so easy to be sure you are doing the right something. Planning is necessary to ensure that what you do is what needs to be done, in the order it needs to be done in, rather than simply doing what can be done because it is easy. o Do early the things upon which other things are dependent, and in particular the things that then allow the most other people to make progress. o If there is uncertainty affecting some of the things, do early the things that you know will need to be done anyway despite any uncertainty, ie. those things not sensitive to the uncertainty. o Do early the things that reduce uncertainty, but not at a cost that outweighs the benefits of the reduced uncertainty. o Do not do early anything for which there is any significant chance that it might become irrelevant as a result of other activities or possible changes in circumstances. o Match the order you plan to do things to the likely availability of resource. Given the greater level of uncertainty associated with activities further in the future, it is often appropriate to adopt a ‘rolling wave’ approach to planning, whereby we have more detail on activities intended in the near future, and less detail on activities further into the future. o There needs to be regular review of the rolling wave plan to ensure that the next level of detail is added in a timely manner to support the continuing smooth operation of the plan as a whole. Planning is not just about what we need to do, it is about planning to timely obtain the facilities, and resources and tools and whatever inputs we need to enable us to do what we need to do. It is about recognizing what might go wrong and taking action to either reduce the likelihood of them going wrong or reducing the negative consequences should they do so. Be wary of wishful thinking, where you estimate how long based on what you would like to be the case rather than what some attempt at an objective measure gives you. Sometimes people will give you the estimates they believe you want, not their best objective estimates. Not everything in your plan will be dependent upon your own effort. Include in your plan any dependencies on others and ensure others are clearly aware of what they need to do by when. In addition to simply showing the milestones for inputs from others, it is useful to include additional earlier milestone which if not met would give you advance notice of problems with the dependency. A common problem with estimating is not accounting for what other things will need to be done at the same time. This is particularly the case for individuals who would be able to do a given task in a given period of time if it was the only thing they had to do, but not given all the other things that also need to be done at the same or in similar timescales. 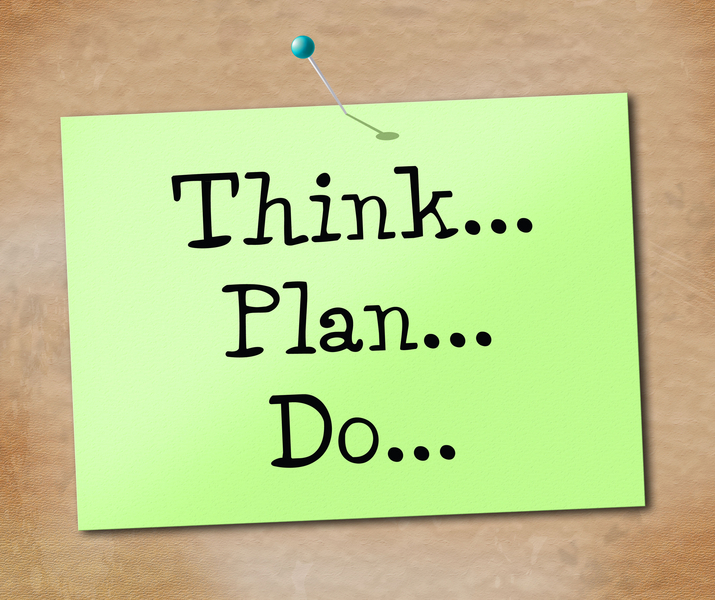 Plan, do, monitor, review, (re-)plan, do, monitor, review, (re-)plan, … If what you are doing is not getting you to where you want to get to, then you either need to change what you are doing or change where you are trying to get to. There are knowns, there are known unknowns, and there are unknown unknowns. With a bit of thought, research and effort we can turn many unknown unknowns into known unknowns or even into knowns. But recognize there will still be unknown unknowns. Just because something can be done, doesn’t mean it will. You need both viable plans and a will to follow through. 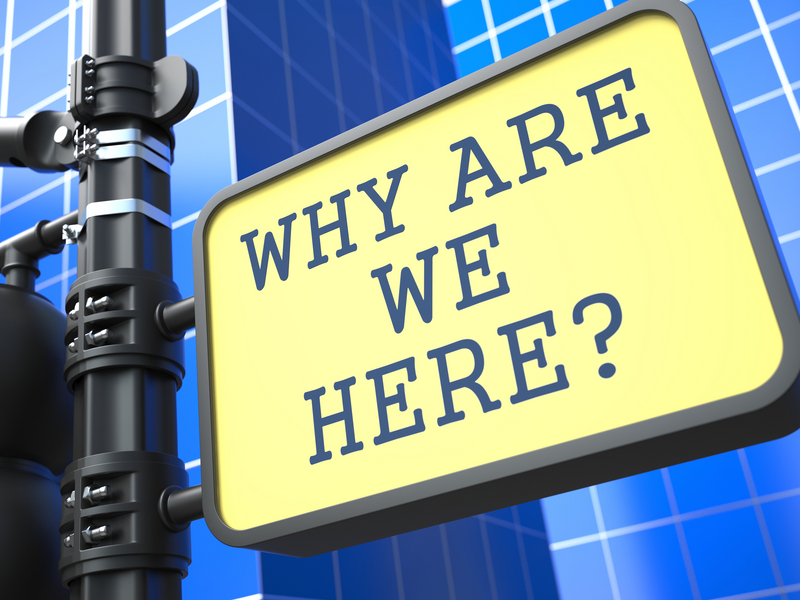 If you want to improve something, you usually need to measure it so that you know where you are vis-à-vis where you want to be, and can determine the extent to which your actions are taking you closer to or further away from where you want to be. The more prepared you are the more confident you become. The Bumper Book of Common Sense contains many more guidelines to help with effective planning and with follow through. Get organized about where you keep things. Being organized will leave you with more time on your hands since you won’t be wasting time finding things you’ve lost. Not being able to find something you want when you want it is tiring and makes you far more stressed than you would otherwise be. 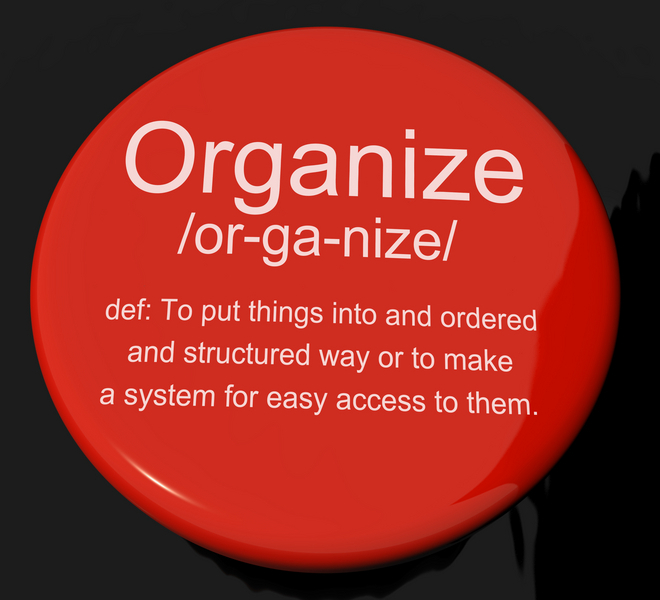 Being organized will leave you with more time, less stressed, and with more energy to get on with productive tasks. If you are organized you will be more motivated to do things. Being organized means having a place for everything and ensuring things are in their place when not in use. Being organized is not in conflict with creativity; in most circumstances it is a vital precursor to creativity and spontaneity. It frees your mind to focus on a particular subject, and to quickly take advantage of and act upon creative thoughts. Set up your organizing systems so that you are absolutely clear about what you will keep where. Make use of storage boxes, files, and compartment organizers, with appropriate labelling. Have a place for everything, and keep it there when not in use. This includes having places for commonly used items such as keys and phones, which is where you put them when you are not carrying them around with you. A lot of problems with clutter and not being able to find things is a result of not having firmly decided where things should be kept. Whenever something is not put back in its place it will pile up to become clutter. It only takes a few moments to put something back in its place when you are done with it; if you don’t you will waste time looking for it later, or waste time looking for other things amongst the clutter it has helped to create. Be ruthless with stuff you never use. Get rid of anything that wastes time, space, energy, or money, unless there is a blatantly good reason for keeping it. Will you ever use it again? If so, under what circumstances? Most people have a habit of holding on to huge amounts of stuff ‘just in case’, and it weighs them down, even if put away out of sight. And once you have decided to throw something out, do so; don’t leave it lying around. Have fewer possessions. If you have fewer possessions you will have less clutter, more space; a life with few possession tends to be more liberating. Most people could readily cut their belongings by 50 – 90% and actually increase the quality of their lives. Much of your belongings generate a feeling of guilt: clothes that no longer fit; books you haven’t read and in truth never will; games you never played. Get rid of them, and you get rid of the guilt. Useful or beautiful – if neither, bin it. Imagine you are about to move and want to make a fresh start. What would you keep? Imagine it would cost you by the box to move stuff. What is and what is not worth the expense? You don’t need to wait till you move to get rid of the stuff that you have no good reason to keep. Be organized with respect to your paperwork and your computer files. Develop a filing system and stick to it. Keep it as simple as you can. Bits of paper with contact information should be put in a contact book or equivalent, and reminders should go onto some form of List. Throw out information you don’t need and file away information you do or might. Ensure you deal with hard copy mail more or less as soon as you get it. Pay bills and invoices promptly, unless you deliberately want to delay for cash flow or other reasons – in which case identify when you will pay it and put it away until then, with some way of reminding yourself. File or throw the paperwork away as soon as you have finished with it. If you have electronic files ensure you take regular backups. Manage your money. Keep a basic track of your incomings and your outgoings. Spend less than you earn. If you don’t you will get into debt and your life will be very stressful. Don’t buy things you can’t afford. This doesn’t mean never use credit. But if you do use credit be sure you can afford to pay it back and don’t get caught up in only being able to afford to pay back the interest. You don’t need most of the luxuries of life if you can’t afford them. You will be far less stressed and thus have a higher quality of life without luxuries than you will be with them if they also lead to money troubles. If you are in debt, deal with it. The most important step is to get your outgoings below your income, and keep them that way. Look to keep your interest payments as low as you can, and ensure you are regularly paying off some of the capital you owe. Whilst certain high cost purchases such as property or cars may be exceptions with regards seeking to avoid debt, you need to ensure you can comfortably pay off the interest and that you can cope with potential future changes in interest rates. Any scheme for making easy money is almost certainly either a scam or illegal. Be very wary of any scheme that asks you to put up money up front or requires you to provide personal details to people you don’t know, except where you have very good reason to trust them. There are many people who are looking to take advantage of anyone who is vulnerable or is otherwise open to being exploited. See Guidelines on Scams and How to Avoid Them. No-one can predict specific outcomes of the financial markets consistently across time. Investors who believe they or others can predict market outcomes lose a lot of money. Even in the short and medium term, there’s no way of telling which way the market will go, although in the long run they do exhibit consistent upward trends. Be very wary of believing that with a little bit of weekend analysis you can somehow outthink the markets. Remember that there are two types of investors: those who don’t know where the market is going, and those who don’t know that they don’t know where the market is going. Never put your nest eggs all in one basket. In particular only put money you can afford to lose in highly speculative investments. A penny saved is a penny earned. There are lots of ways to cut back on monthly spends, and lots of sources of advice on the internet. Buying cheap goods can be a false saving if they are of low quality and only last a fraction of the time higher quality goods will last. Before you buy cheap goods look to check that they at least have a reasonable reputation. Often low quality goods will break after a few uses, or even not work at all. Some low quality goods however have stood the test of time and are commonly used because they are good enough for the use to which they are put. Save for a rainy day. Don’t spend everything you earn. Most people can save if they try: buy less – you don’t need lots of things; buy second hand – you can often buy good quality second-hand products from charity shorts or car boot sales for a fraction of the full cost; buy previous generation products – they often have all the utility you really need and are much cheaper than the latest generation; share rarely used tools with your neighbors or friends; do your own house repairs so long as you do so safely; only buy new clothes when your old ones wear out; don’t take out gym or other memberships that you only occasionally use; beware of buying add-ons to expensive products; learn good petrol saving driving habits; be aware of gas and electricity use around the house – simple changes can significantly reduce your energy bills. If you can afford it at all, look to set aside at least 10% of what you earn as savings for the future. Put this money somewhere where it can earn interest that is higher than inflation. Be wary however of particularly high interest options since these will also tend to be higher risk options. 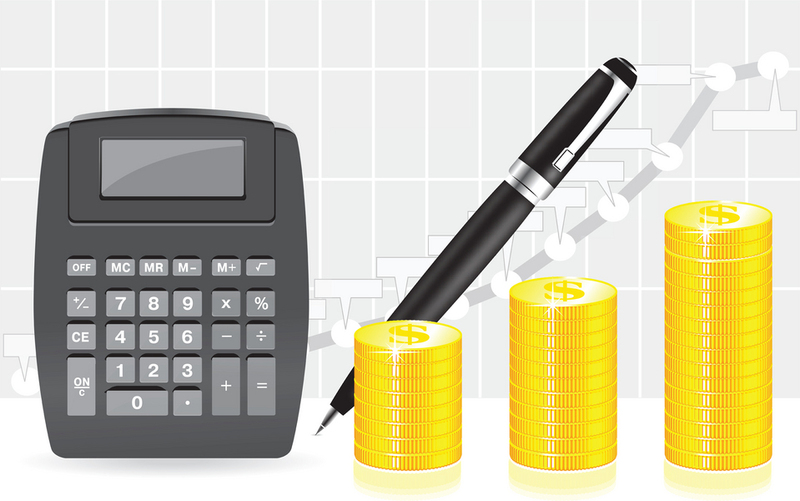 And do have a look over your overall finances. There is no point in saving money that is earning a lower interest than that at which you are being charged for your debts. In such circumstances use money you might have otherwise saved to pay off any debts that have higher interest payments than you can get on savings. Regularly ask yourself ‘Is this the best use I can make of my time, right now?’ If yes, get on with it. If no, stop what you are doing, and do what you believe is. Knowing that what you are doing is the most important thing for you do be doing right now can help stop your mind wandering and help you focus on what it is you are doing. Time management is not simply about getting more and more done. You will never get done everything that you could and ought to get done. Time management includes thinking about what is worthwhile and ensuring you do the things that are important to you. If you spread yourself too thin, you are unlikely to achieve very much. The fewer things you focus on, the more progress you will make. Decide what changes you need to make in your life to enable you to focus on what is really important to you. Be ready to say no to doing tasks that you don’t want to get done and you don’t have an obligation to get done. Stop trying to be busy. Put first things first and don’t worry about the rest. Regularly ask yourself ‘Is this the best use I can make of my time, right now?’ If yes, get on with it. If no, stop what you are doing, and do what you believe is. Plan for when you are going to do the things that are most important to you. Most people find their days fill up with work, and chores and stuff that has to be done, and that with anytime left over they feel that they deserve a break. Personal goals get put on the back burner and month after month you make little or no progress. Set aside particular times for when you are going to work on your own projects. You might for example get up earlier and get an hour or so done early in the day – for many people this is the most productive part of the day. Or you might develop a habit of doing an hour or so at some particular time in the evening, or set time aside at the weekends. You need to decide when you can set the time aside and then largely treat this time as sacrosanct. Do the things that are worrying you. Deal with the things that are on your mind. Get them out of the way, or at least decide specifically when you are going to deal with them. If you don’t, they’ll stay on your mind interfering with everything else you are trying to do. Worrying, without deciding on and undertaking action, saps your energy. Remember there is an opportunity cost in your use of time. If you are doing something of little value, then you are not using your time to do something of value. Be sure the projects you are spending your time on are those that are of value to you. 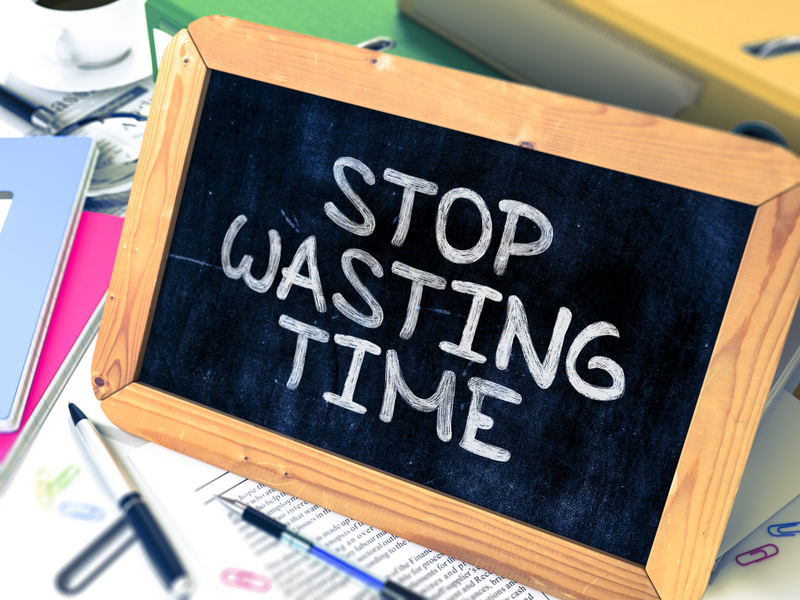 Time you are spending on less important projects is time you could be spending on more important projects. Try to be efficient in all the things that you do. Efficiency means doing things with the minimum of effort and resources. Of course it is also important to be doing the right things. But assuming you believe you are, also try to do them as efficiently as you can. In particular find standard efficient ways of dealing with common problems or recurring tasks. Each small amount of time saved on something that you do regularly adds up. Regularly look to see how others do things and adopt the best practices you can find. Invest in good quality tools, including computer tools, if they help you do things quicker and with less problems. o Make use of lists, possibly combined with your calendar. Having everything you need to do on an organized list will help ensure you prioritize the things you do, and also that you don’t forget things that need to be done. o For relatively minor tasks set short timescales for getting them done. o Learn to speed read, or at least to be able to skim long texts to quickly find what is of interest to you. If you do a lot of typing, learn to touch type. o Ensuring you plan for use of what otherwise might be dead time, such as when traveling on public transport or waiting between meetings: always have with you something you can read or do. o If you have the opportunity to have others do some of the things that you might otherwise have done for yourself then you have the opportunity to save yourself a lot of time. o Find standard efficient ways of dealing with common problems or recurring tasks. Each small amount of time saved on something that you do regularly adds up. Regularly look to see how others approach them and adopt the best practices you can find. o If you are learning to do a task you know you are likely to need to do again in the future, note down the steps so you can readily have them to hand when you need to do the task again. o If appropriate create checklists and templates to support things you do regularly in order to minimize the amount of effort you need to put into them and to help reduce the likelihood of you missing something or making mistakes. o Invest in the best productivity tools you can afford. Small improvements in your productivity can lead to big improvements in your outputs. o Shifting between different types of tasks requires effort and is an inefficient way of using your time. Better to batch up similar tasks and do them in a single session. Driving is familiar and we readily get into a false sense of security and invulnerability. However the consequences of a momentary lapse of attention or from making a small mistake can be very severe. Under normal circumstances you will get away with using your phone or allowing other distractions whilst driving; however if something out of the ordinary occurs at the same time it can be and sometimes is lethal, if not to you then to someone else. Thus don’t use your phone when driving or allow yourself to be distracted in other ways. Many more people die or are badly injured in or by cars than most people realize. Realize the possibility of a house fire, and ensure you have a fire extinguisher and a fire blanket in your home. And ensure you have evacuation routes, and that if you have children that they know them. Children have a habit of trying to hide when they panic, such as in a closet or under the bed. Make sure they know what to do and if they are young practice it with them. Protect your home from burglary. Make sure windows are shut and locked, particularly at night or when the house is unoccupied, or might appear unoccupied. Ensure locks are secure on windows and doors. If your neighborhood is prone to break-ins then take extra precautions such as alarms and additional locks. Be very conscious of the dangers to young children. Note that they can disappear from under your feet in a moment, and therefore don’t leave them with a clear route to somewhere dangerous such as out the front of the house or out into a garden with dangers such as open water. Don’t put yourself in danger of being mugged. Don’t walk down deserted alleys or across wasteland, particularly not at night but also be wary during the day. Don’t go flashing your money around if in local shops or down the pub. Generally don’t go through areas which have a bad reputation, and certainly not on your own or when drunk. You should consider doing some basic self-defense classes. Heed public notices when you are out. 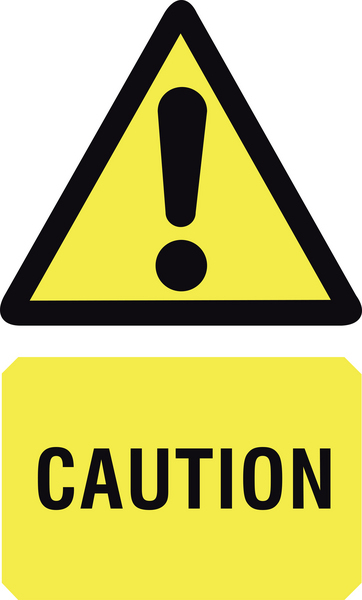 Warnings of dangers or possible criminal activity are there for a reason. Don’t get into arguments with aggressive people, irrespective of the fact that you believe you are in the right. You can’t win an argument against someone with a violent or aggressive nature or with someone who is drunk or high on drugs. They may well end up hitting you, or worse. It is not worth it. Ensure you and everyone else in your family including children know how to protect personal information over the internet. Use but don’t fully rely on anti-virus and related programs. Don’t go following links in unsolicited e-mails, even ones you believe have been forwarded to you by friends: your friends may not know about the links in their e-mails, and e-mails from friends may not have come from them. Ensure you and other members of your family, again including children, know how to manage and protect passwords. Be wary of any links from websites that are other than ones you know for certain to be safe. Be very wary of get rich quick or get rich easy schemes or schemes where you are being let in on a secret. They are either a scam or illegal. Some common characteristics of scams include them prompting for immediate action, them seeking personal information, or them looking for you to send off money before they provide you with anything. Note that most scams are trying to target large amounts of people and you can usually find out through internet search engines whether or not it is a scam. See our Guidelines on Scams and How to Avoid Them. There are many more Common Sense safety and security guidelines given in The Bumper Book of Common Sense or readily available on the internet. Seek out such guidelines and pay attention to them.